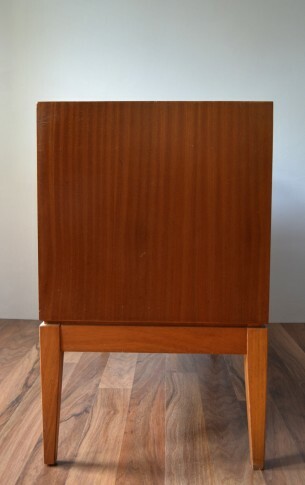 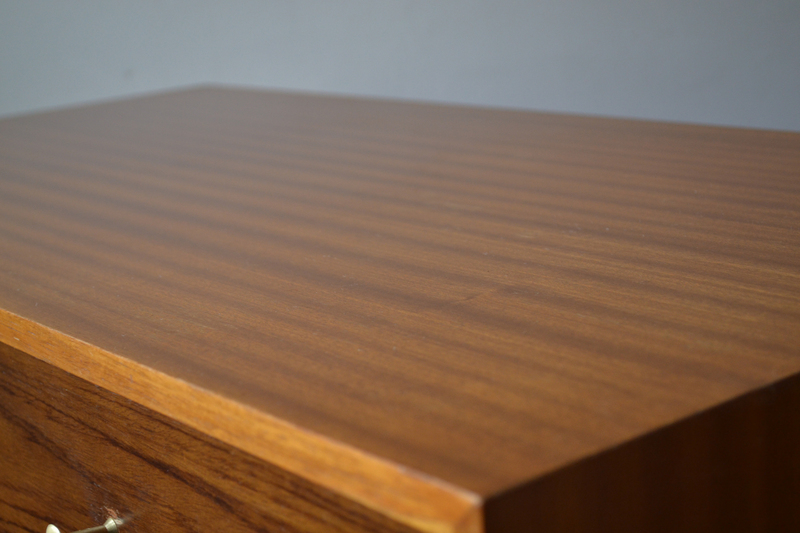 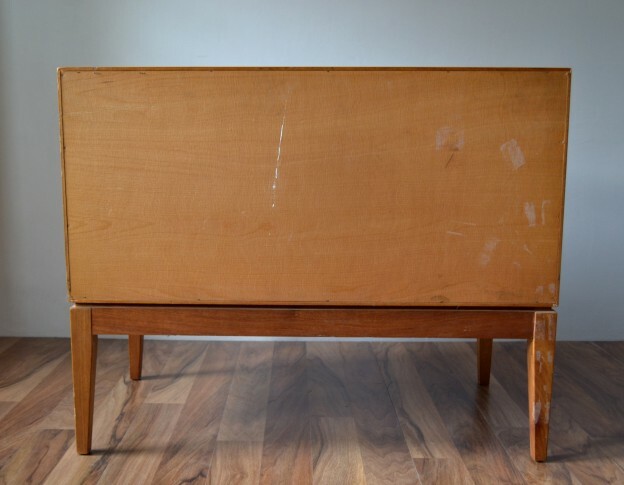 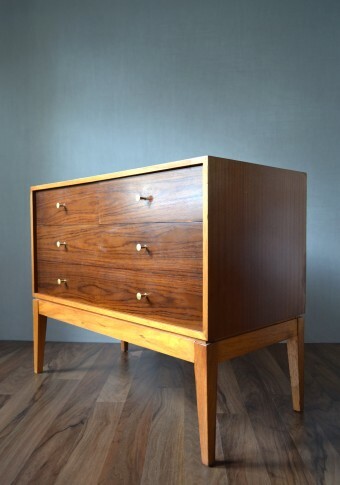 A really smart mid century chest of drawers by Peter Hayward for Uniflex. 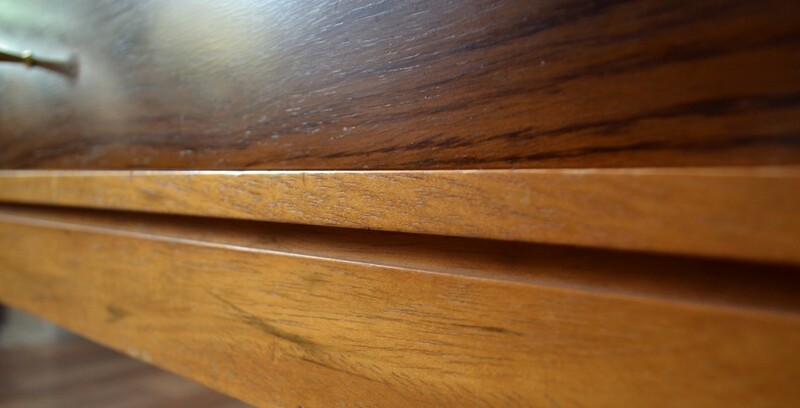 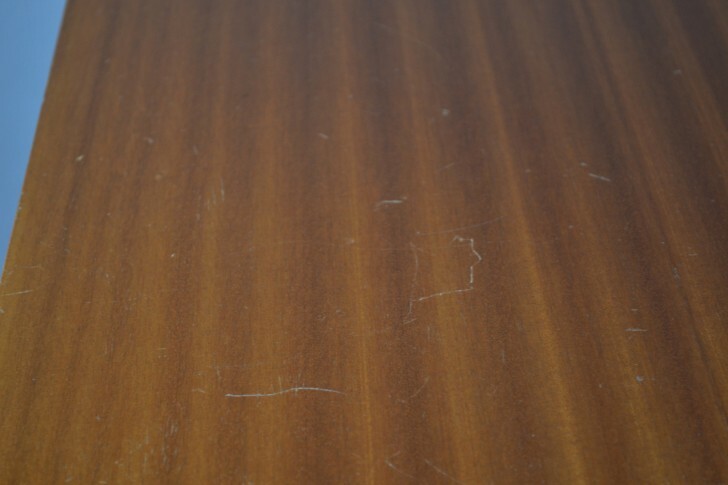 Drawers are faced with lovely dark wood veneers. 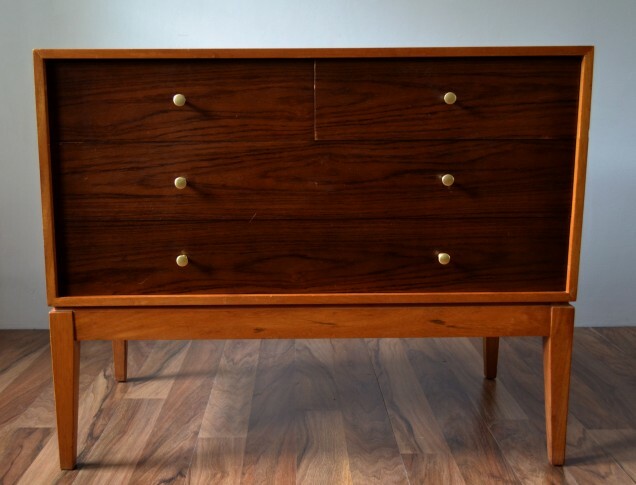 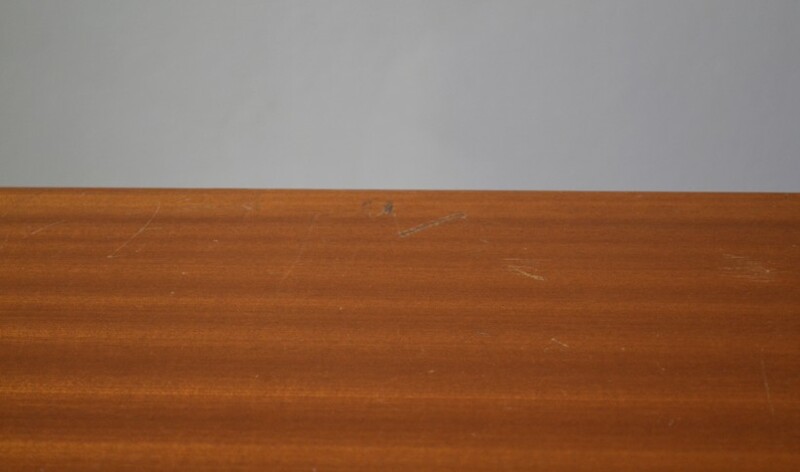 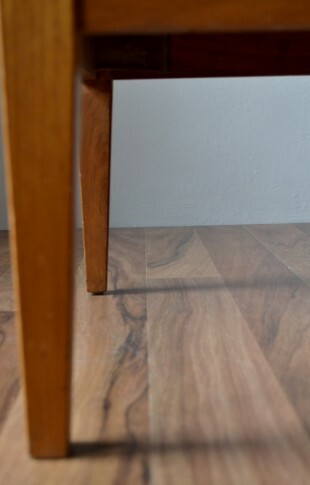 The drawers sit on a teak wood frame with tapered legs. 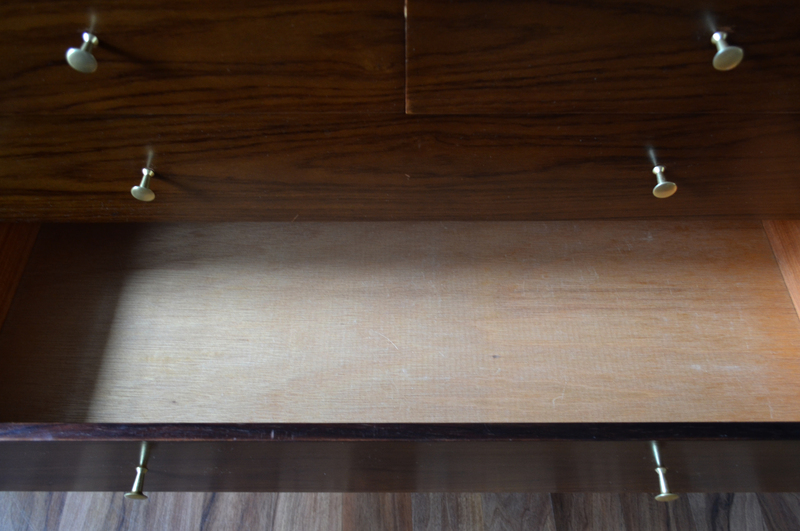 Two full width drawers, two half width drawers. 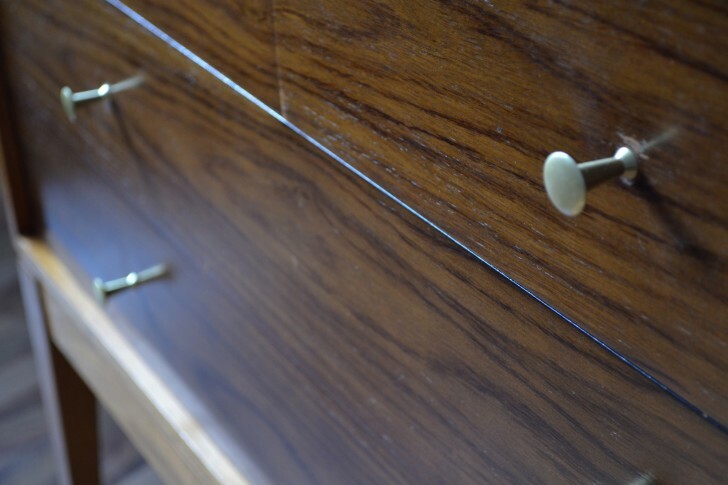 Featuring elegant trumpet shaped brass pull handles. 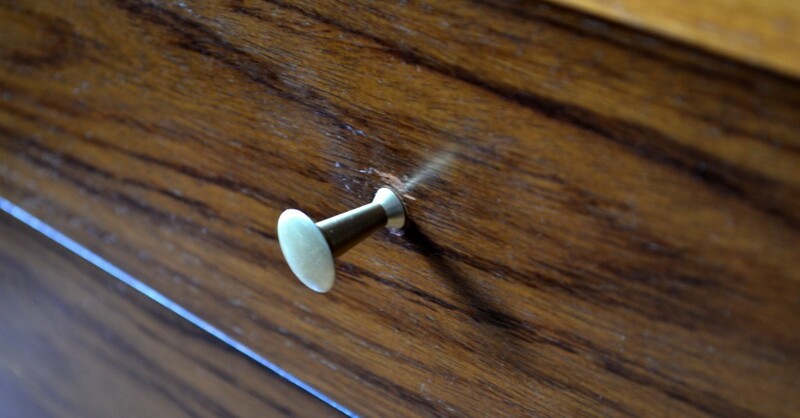 The whole piece comes together elegantly.